The area of Lagiewnicki Forest, which constitutes the northern border of the city of Lodz, is a site of a special importance due to its recreational potential and natural diversity of the region. Its recreational reservoirs located in the upper catchment of the Bzura River, near Arturowek, represent one of its major strengths. Similarly to most water bodies within urban areas, these reservoirs also remain subject to significant anthropopressure, which affects water quality, leading to limited usability of this area. Attempts to improve quality of this water taken in the past (such as the removal of bottom sediments), due to their limited nature, improved the situation only temporarily. That is why an attempt of implementing comprehensive rehabilitation solutions was taken. It aims at improving quality of the Bzura and of the cascade of reservoirs located on this river, based on a systemic ecohydrological approach. This challenge was accepted under an EU LIFE+ Project: “Ecohydrological rehabilitation of the recreational Arturowek (Lodz) reservoirs as a model approach to rehabilitation of urban reservoirs”(LIFE08 ENV/PL/000517), which implements comprehensive measures based on the systemic approach using the concept of ecohydrology to rehabilitate one of the key recreational sites for the city of Lodz. EH-REK Project is implemented by the staff of the Department of Applied Ecology of the University of Lodz, in cooperation with the Lodz Infrastructural Company and the City of Lodz represented by the Municipal Centre of Sport and Recreation. The project is financed by the European Commission and the national Fund for Environmental Protection and Water Management. Project budget also includes own contribution provided by the project beneficiaries, which is co-financed by the Voivodship Fund for Environmental Protection and Water Management in Lodz. Measures implemented under the EH-REK Project facilitate improved attractiveness of Arturowek site. 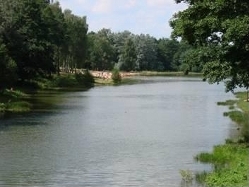 Arturowek ponds are an important place of recreation for less wealthy inhabitants of Lodz and adjacent areas, as well as one of the major leisure sites during holidays. Maintaining the high standards of water quality as required by the EU Directive No. 2006/7/EC concerning the management of bathing water quality is also of top importance. Innovation of the solutions proposed under the EH-REK Project is mainly related to application of ecohydrological biotechnologies which constitute an outcome of integrating hydrotechnical solutions with biological processes. This type of solutions is characterised by a low Cost Effectiveness Ratio. In accordance with the concept of ecohydrology, the appropriate use of technical infrastructure enabling to control hydrological parameters in the environment, including mutual relations and dependencies between the hydrological and biological processes, significantly increases opportunities of successful rehabilitation-focused activities. This type of approach is not commonly applied in urban areas, where traditionally only engineering solutions have been used, and due to the high degree of anthropopressure, possibilities to control natural cycles are heavily constrained. In the EH-REK Project, application of the ecohydrological biotechnologies is not only manifested through the ecosystem level involving restoration of the original hydrological cycle, cycles of the flow of nutrients, increased biodiversity, but primarily through enhancing capacity of the environment controlled in this way in terms of absorption of anthropogenic stress. The use of a systemic approach aiming to develop comprehensive solutions to the problems identified in the project area, taking into account not only environmental aspects but also social and economic ones, is another innovative aspect. Developing natural areas offering high quality of the environment and ecological safety for the local community provides the basis to create an attractive urban space, which translates into health, satisfaction and competitiveness of the communities and opportunities for their personal and social development. Accomplishment of the above goals requires that a transdisciplinary approach should be adopted, i.e. the approach which benefits from knowledge and cooperation of scientists specialising in various disciplines as well as of decision-makers and practitioners whose activities are focused on the common, higher, approved and socially desirable objective. The system of trainings, know-how dissemination and cooperation based on joint actions undertaken under a platform of stakeholders. Analysis of threats and opportunities is one of the tools used to collect information and develop a database concerning the project area as well as natural and social processes taking place within this area, and associated legal aspects. Concept and design involve development of a detailed action plan to rehabilitate recreational ponds in in Arturowek (Lodz) and are based on the systemic approach: a) using the analysis of threats and opportunities of the reservoir’s catchment; b) harmonising ecological biotechnologies with technological innovations and c) benefitting from the ecohydrology principles as the transdisciplinary science. Implementation of the investment involves implementation of the action plan developed and investments planned in this plan; the action programme developed will facilitate identification of measures and investments, which under the specific conditions of the project implementation will enable to accomplish the results planned while maintaining the low Cost-Effectiveness Ratio. Optimisation of the systemic solutions involves evaluation of the accomplished results in the field of improved quality of water and testing efficiency of the solutions applied; the developed model (demo) system, which will cover the implemented investments, mathematical models and on-line monitoring, will provide the basis for adaptation of the proposed solutions in order to plan implementations in other urban reservoirs; the results obtained will be used to develop the framework rehabilitation strategy for other Lodz reservoirs and rivers (such as Jana Ponds and Stefańskiego Ponds). System of trainings will be used to disseminate know-how on the innovative approach to the problem and management of urban water resources. It will be used at the city level - for the Lodz platform of water sector stakeholders (“Learning Alliance” group, which has been established as a result of the SWITCH European Project), at the national level – employees of the WIOS (Voivodship Inspectorate for Environmental Protection), RZGW (Regional Water Management Board), and city administration bodies, and at the international level –trainings delivered by the University of Lodz and other scientific and research entities, addressed to such groups as the UNESCO-IHP trainees, international trainees and participants of ecohydrology courses; Educational measures are also addressed to the local community members (such as elementary schools, lower and upper secondary schools as well as higher schools), and involve activities raising ecological awareness (such as publication of brochures and information disseminated through media); development of the model system will also include training programme (curriculum) and materials for the specific target groups.